Piper and her cousin, Charlotte, have formed a club. You can’t join. I know. I tried. “What do you do in your secret club?” I asked. “Because it’s secret,” Piper said. “It’s only for members,” Charlotte explained. “Right. I want to become a member,” I said. Piper and Charlotte consulted. Then they ran off together squealing. Then they came back, holding hands and skipping. “Do you have any money?” Piper asked. Whispering ensued. “Hundreds of pennies,” Piper said. They’re probably right, especially when this is the view from their clubhouse window. 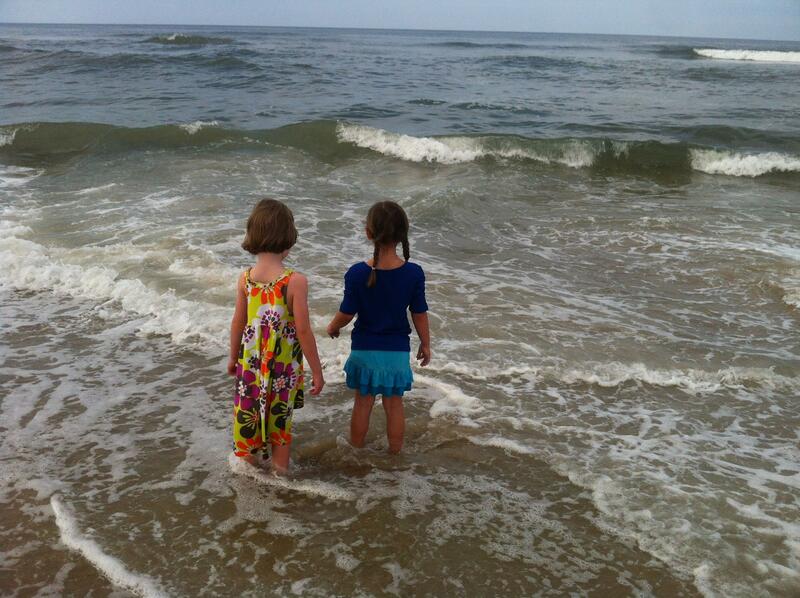 This entry was posted in Daily Dharma and tagged beach day, club dues, humor, kids forming clubs, members only, parenting, piperism, secret clubs by melissa.scholes.young. Bookmark the permalink. Hundreds of pennies! That’s pretty steep.